Dhaka , the capital of Bangladesh, is known as the city of mosques and the city of the Mughal architecture. Being one of the most populated cities in the world — with the bumper-to-bumper traffic to prove it — Dhaka also has another identity: the city of rickshaws . These passenger vehicles, which are pedaled by a driver, are everywhere in Dhaka. 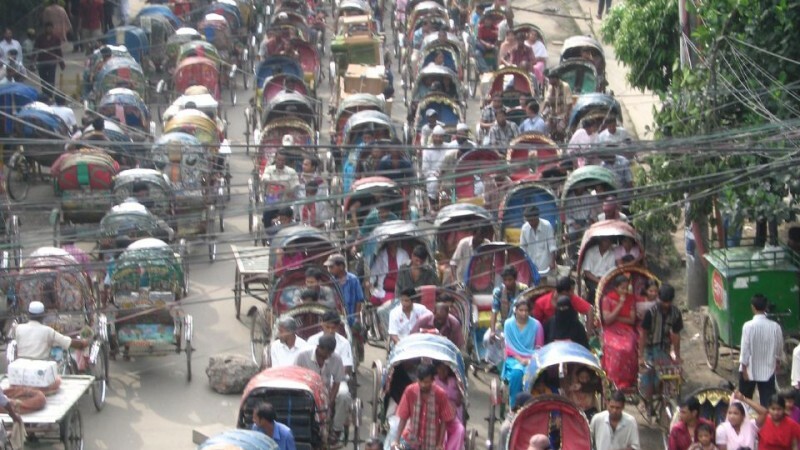 There are an estimated 600,000 rickshaws in the city, though less than 100,000 are licensed. Compare that to the 37 rickshaws on the roads in Dhaka in 1941 . 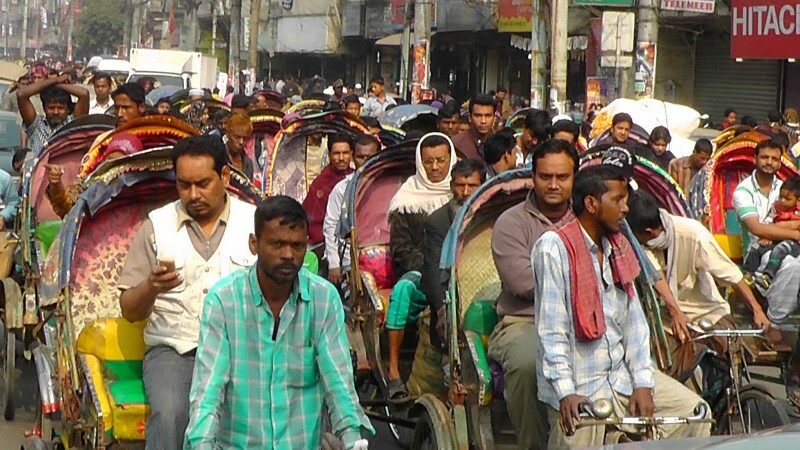 Dhaka's roads are packed with rickshaws in all hues, contributing to its traffic woes. Image by Kazi Minhazur Rahman used under Creative Commons license (CC BY-NC 2.0). 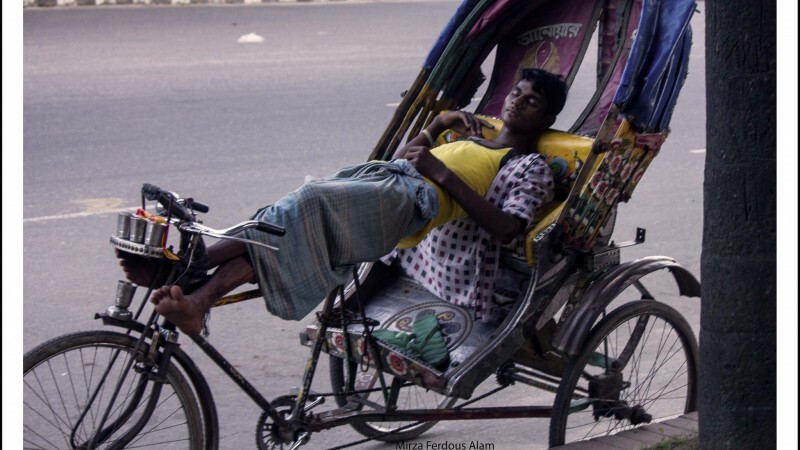 Here is a short documentary  on YouTube uploaded by Abstract Films, which follows three different rickshaw drivers through the streets of Dhaka as they talk about their lives and the challenges of the profession. Rickshaws came to Bangladesh in the early 1930s. Till the early 1970s, rickshaws were the common mode of transportation in Dhaka. Even today, this inexpensive, environment friendly, non-polluting form of transportation is a way of life for thousands of people. Currently, 40% people  commute in the city by rickshaw. Rickshaw art. Image by Anduze traveler used under Creative Commons license (CC BY-NC 2.0). In the early days of rickshaws, they were left more or less undecorated . Sometime in the 1960s decorative motifs on the back of the rickshaws began to appear. This decoration is now a staple of urban art. Film stars, landscape, animals, contemporary political affairs, pictures and even Osama Bin Laden add color to the city's transportation. This Facebook page titled “Rickshaw Paint/Art of Bangladesh ” highlights different colourful rickshaw motifs found across Dhaka. 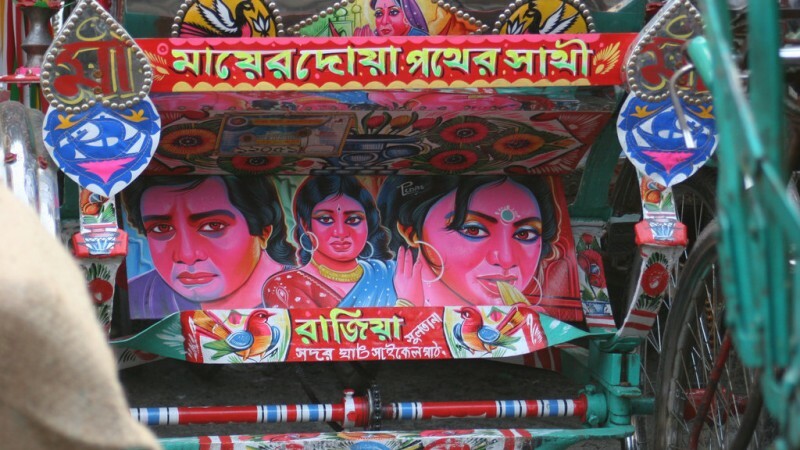 Rickshaw paintings have also been used as protest . The art is not limited to just rickshaws, either. It is also an increasingly popular theme in fashion, with rickshaw motifs now found on saris, shalwar kameez and kurtis. A rickshaw puller takes short break to rejuvenate him for the rest of the day's hardship. Images by Mirza Ferdous Alam used under Creative Commons license (CC BY-NC 2.0).